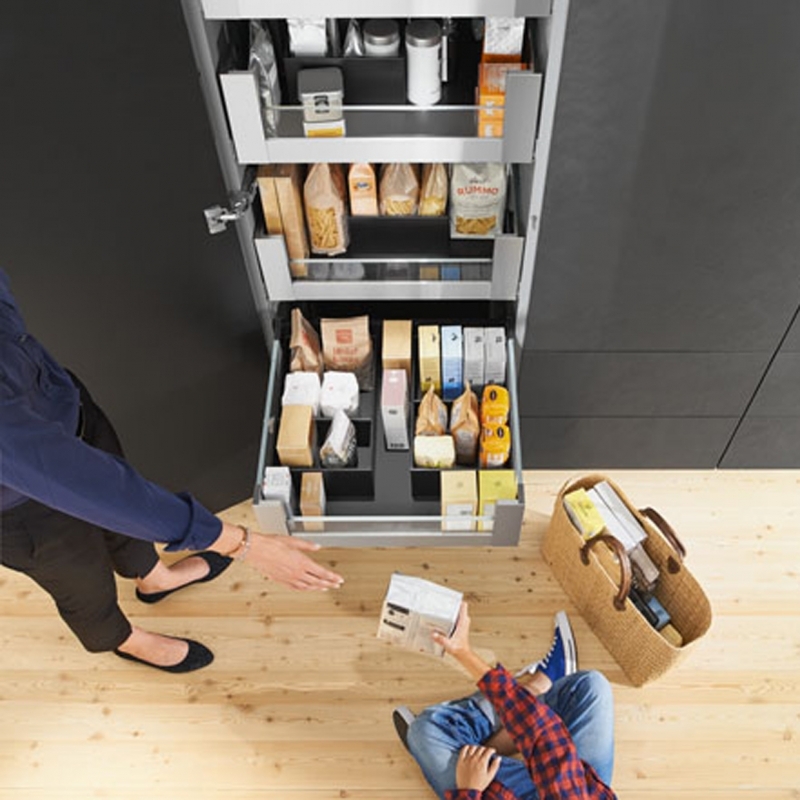 Space Tower can be accessed with impressive ease, provides ample space for provisions and can be tailored to each customer’s individuals needs. 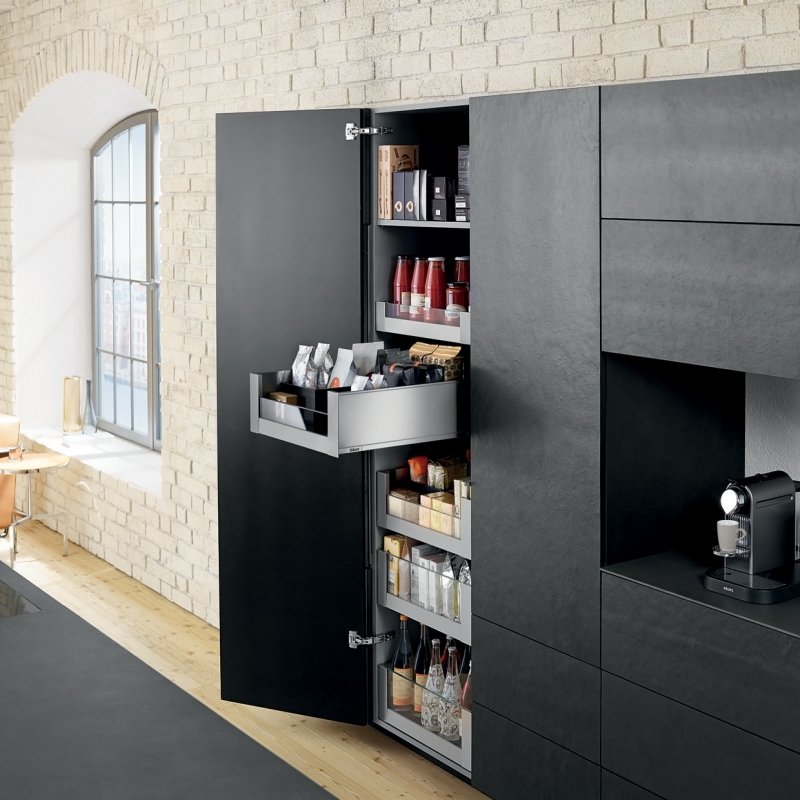 It is available using both LEGRABOX and TANDEMBOX systems. 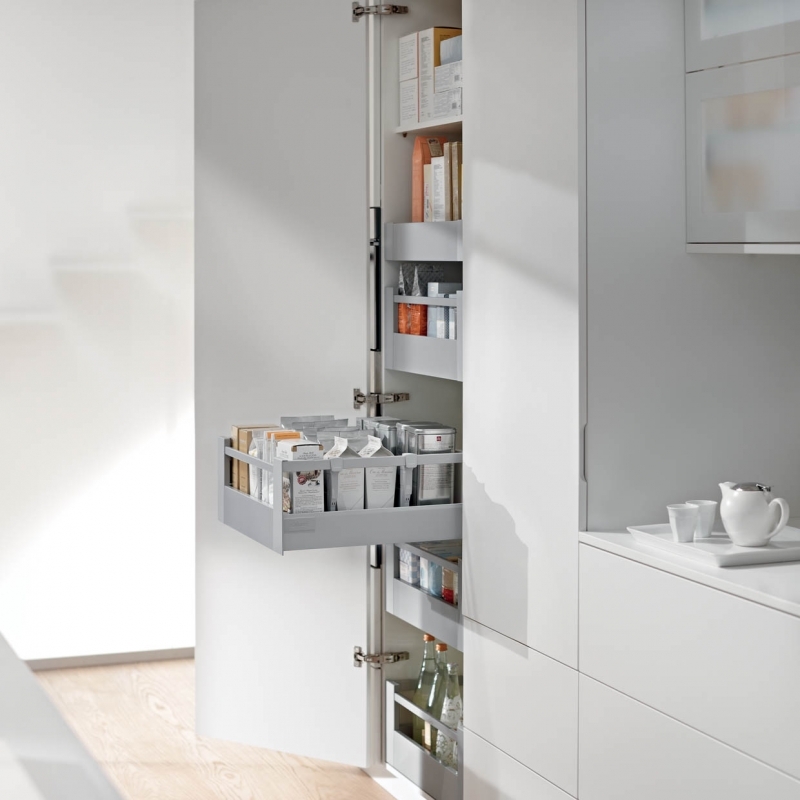 High, closed drawer boxes ensure that provisions are stored securely, whilst flexible inner dividing systems can be used to organise and securely hold stored items. Each individual pull-out can handle loads up to a weight of 70 kg. 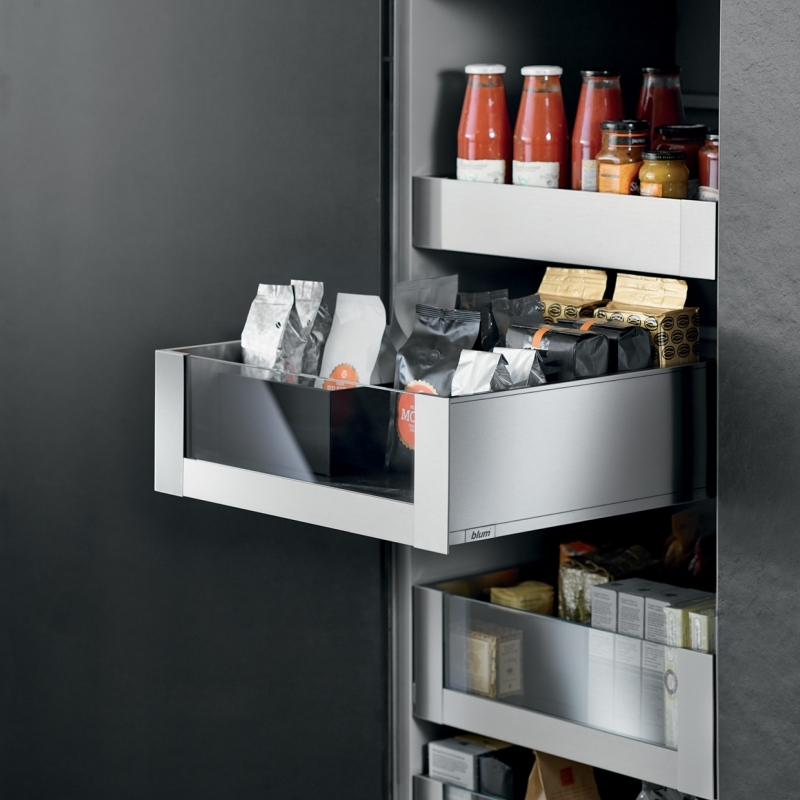 SPACE TOWER is flexible in height, width and depth meaning that this practical larder unit makes full use of the space available,down to the last millimetre.